Maat Silin is our Program Intern and is working with The LP through the Sadie Nash Leadership Project‘s Community Action Placement program. She offered to write a blog post sharing some of her history and involvement with various nonprofits. Read on for her story (part one of two). Hello, I’m Maat! I am currently an intern at the Laundromat Project. I’ve been here for a while and it’s time for me to contribute to this wonderful blog, and introduce myself to the readers here. Time to begin the post! So, you’re probably wondering, “Who’s this mysterious person typing away on this blog? 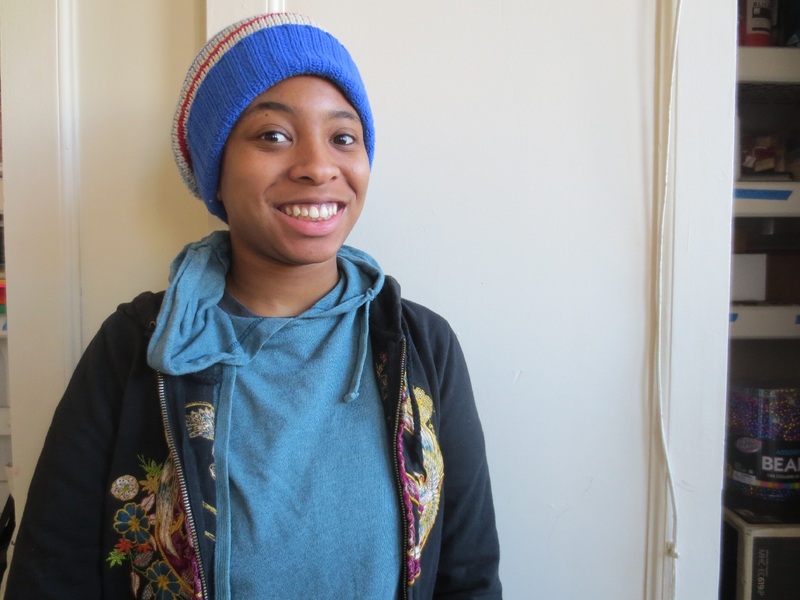 How did the Laundromat Project find such an intern to work for them?” Well enough with the questioning, time to share my experience with the readers here, about how nonprofits made me who I am, and how I got here, and beyond (sounds like an awesome adventure, huh?). My journey begins in my neighborhood. I was born and raised in Bed Stuy, Brooklyn. When I was around toddler-age, my mom was searching for the best pre-school that wasn’t just a center where kids ran around until their internal batteries ran out. She put me in a pre-K center in Brevoort. Anyone from Bed-Stuy reading this post might think “Wooo, Pre-K in Brevoort? Brevoort Projects? What can you learn from a pre-K in a rough public housing complex?” Well, to set aside your biased assumptions, the pre-K my mom placed me in taught their little future leaders a semi-kindergarten curriculum level along with our heritage (you can now safely assume that majority of us were black). But to make a long story short, that pre-K (which may be considered a non-profit) successfully got me a lottery admission at a charter school in Bushwick / Williamsburg. With its strict testing on five year olds being able to count and knowing their ABC’s (you probably can’t imagine how hard it can be for children that young) I was accepted (yay!) and stayed there from K through 8th grade. For those that don’t think that’s an accomplishment, consider that the admission process for any charter school can drain any eager parent and gifted child’s hopes and dreams. Once you’re accepted into a charter school, you already know your awesome life is about to begin! To continue, just like any parent trying to find a hidden prodigy in their child, my mom searched for numerous community centers to inspire any hidden talent / knowledge I had tucked inside. There are a few centers I don’t remember, but the ones I do know were Girl Scouts and St. Christopher Ottilie (SCO). These non-profit organizations are common (some more than others) so I’ll just state what I did there. I’ll start off with the most well known. There was (probably still is) a Girl Scout office in a church around Kingston-Throop Ave. I believe this was the church that hosted Girl Scouts. I could be wrong, but it was very similar to this one. I know it had a really high steeple that couldn’t be missed while in the area. 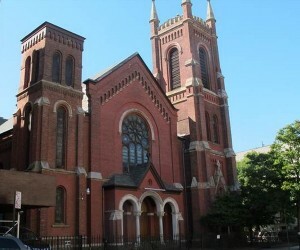 We have some fancy churches here in Bed-Stuy. Since it was close to where I lived, my mom thought it would be cool for me to join so I could start selling those cookies that people are so addicted to. My mom later told me that she envisioned me becoming a modern dancer for some world-famous dance company in the future. I just agreed to join Girl Scouts for the cookies and camping. You’re probably wondering, “What does dancing have to do with Girl Scouts, weird intern from The LP?” Well, actually, there was a dance program at my local Girl Scout center. Now even still to this day, I love dancing. I just don’t like dance classes. The dance instructor at the Girl Scout site was very strict (like most dance teachers) but unfairly strict to little girls around the age of five to six. That wasn’t a problem I considered while I was five. However, the instructor explained that we were reenacting the musical The Wiz and that we didn’t have much time. This upset me because I just started Girl Scouts and already I was in a play. Where were the cookies? When would we start camping? I didn’t even know anybody! Why am I doing dancing sequences when I could be shopping at Toys ‘r Us on a Saturday morning? “This was boring! !” my five year old self thought. To skip to my downfall of being a brownie or daisy (whatever the lowest rank you can be at Girl Scout), I made a friend named Jennifer. We were both young and confused about being thrown into a Wizard of Oz spin-off play. When I found out that she took a break from being in Girl Scouts because she was “bored,” I followed suit. The only difference between our Girl Scout hiatus was that, after her break, she continued the program. I never came back. The action of me quitting Girl Scout upset my mom, knowing that I could’ve been in Juilliard right now if I continued. Little did we know something called Girls Inc. existed also (oooh foreshadowing)…. Maat Silin is from Brooklyn, NY. She is a freshman at College of Staten Island. Her intended major is Communications: Digital Media and Design. Click here to read our interview with Maat.